The 2015 US Slalom Nationals on the Nantahala were by no means a clean sweep for the Nantahala Racing Club. 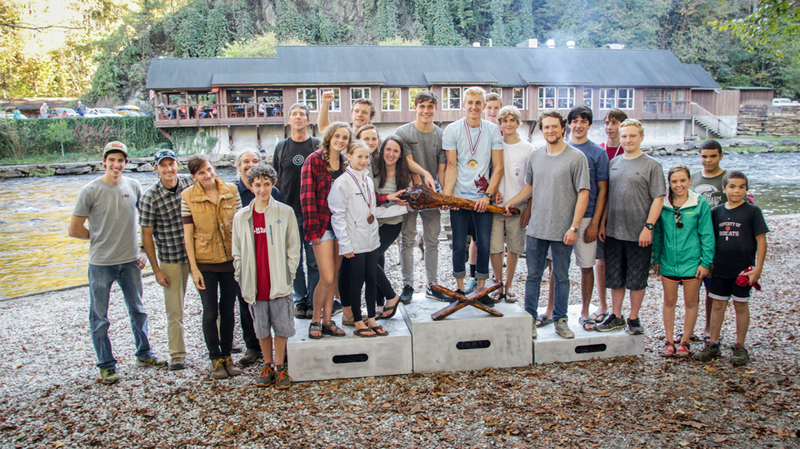 The Nationals Club Trophy is awarded by means of a points system that assigns points for first, second and third place finishes. 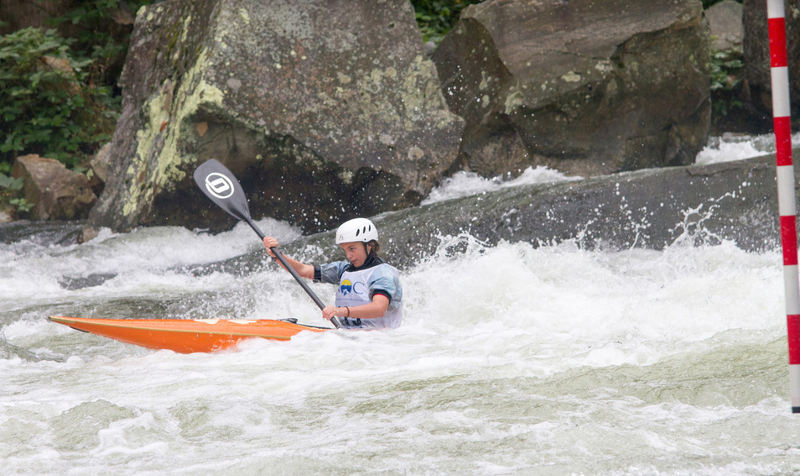 While many NRC athletes made appearances on the awards podium on Sunday, they shared the stage with almost as many Potomac Whitewater Racing Center athletes. In fact, NRC won the trophy by just one point. The entire club took the stage to accept the trophy, a hand-crafted relic from the days of Davey Hearn. The event had been scheduled for an alternate location, and moved to the Nantahala at the last minute. What ultimately made it a success for NRC, was not winning the Club Trophy, but the generosity of the volunteers who came together to make the event happen at the last minute. PWRC parents worked side by side with NRC parents and enthusiasts from across the east coast to make up a workforce of almost 30 people each day. The athletes chipped in as well, helping to hang the course and then to dismantle it on Sunday afternoon. 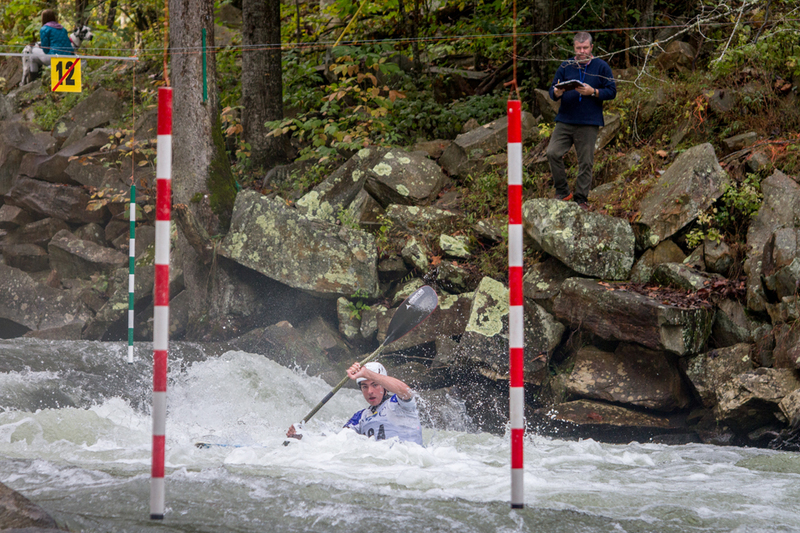 The event hearkened back to the early days of slalom in the United States, back before fancy dry-decks and sleek, imported boats, when all members of the community lent a hand to put on the event – out of necessity and for love of the sport. 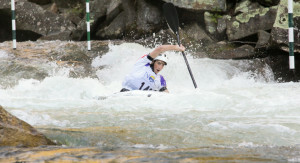 With the sport’s decline over the past several decades, slalom has had to return to the beginning. Grass-roots organization and a focus on early development, along with the all-hands-on-deck approach at events like the recent US Nationals have paid off with a recent increase in youth participation. 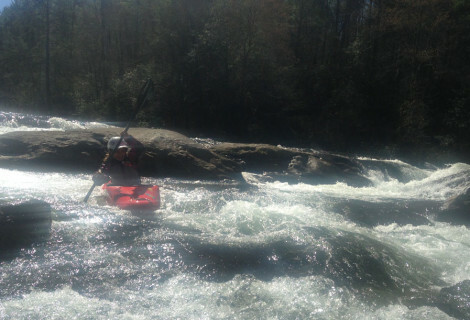 This positive trend is especially visible in the southeast, where paddlers travel from as far as Charlotte, NC, Atlanta, GA, or Fort Payne, AL, to train and compete with NRC.